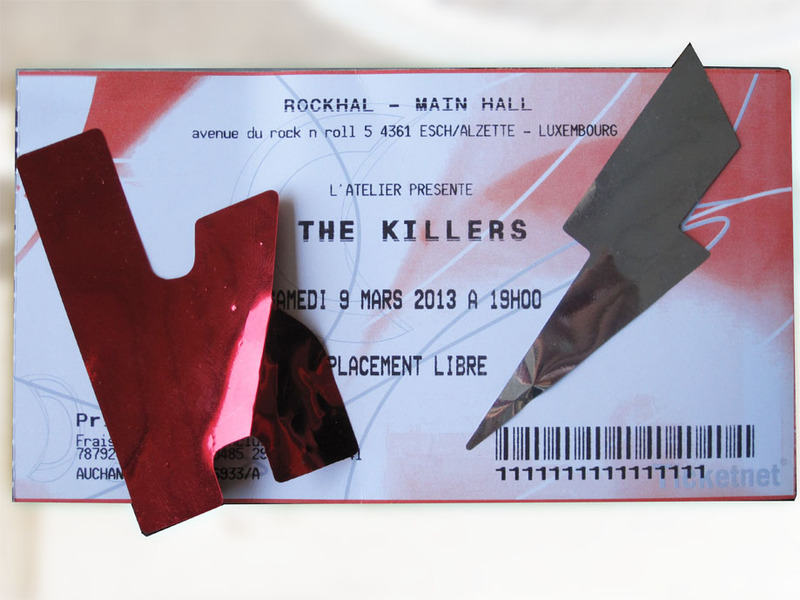 The Killers were meant to play a show in Luxembourg in March but, fortunately for me, they had to cancel through illness, meaning that tickets were readily and cheaply available for the replay on 6th June. 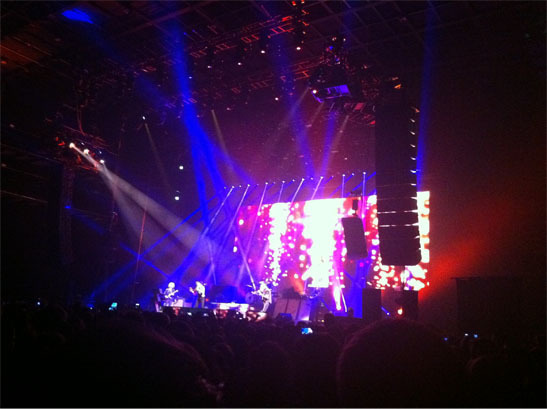 The show took place at a gorgeous and incredibly well-run venue in Esch, Luxembourg called the ‘Rockhal.’ The venue is a huge warehouse space which holds 6,000 (very comfortably) in all an all-standing capacity. The bar is shockingly well staffed, and -wait for it- there are at least 50 stalls in each of the bathrooms. I can’t even tell you how much I wish the people that built this had built the O2. Vendors unaffiliated with the venue sell food outside; there’s also food inside and you don’t queue for anything. Incredible. What was sadly less incredible was the performance. Don’t get me wrong, they play AMAZING live. The band was so pulled together and ON IT, even though Brandon Flowers’ emphatic and energetic performance is the clear star of the show. They opened with the energetic and well loved Mr.Brightside- a song which had the entire place jumping and singing along. The problem was that too many of their song choices (particularly the newer material) just didn’t have the same effect on the crowd. The older favourites (particularly the decision to play Somebody Told Me in the style of the Mylo remix – genious) had the crowd lively and swaying but the energy levels dropped drastically with newer material. They redeemed themselves greatly with an incredibly lively performance of Human (in which we all sang along as we tried to answer the ages old question- ARE we dancer? ), but having seen how captivating and energetic Flowers was when he played live in a solo show in Brixton, I couldn’t help but think that his newer Killers material just wasn’t lively or memorable enough to base the majority of a show on. There was no faulting the band’s skill level, and I was genuinely impressed with Flowers stopped mid song to direct medical assistance to reach a girl who had passed out. His professionalism and consideration was lovely to see, and it was also impressive how the band picked up the song again without stumbling over a single beat. 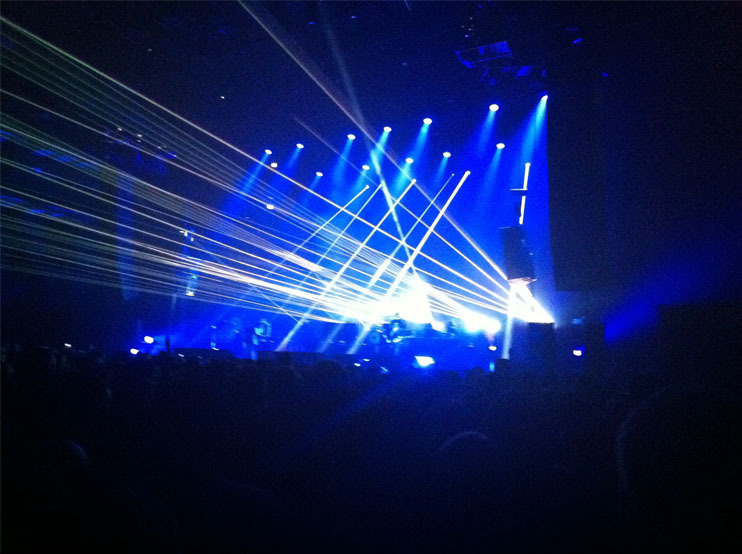 This entry was posted in Other and tagged Gig, Luxembourg, Music. Bookmark the permalink. « Five A Day – Paper Fruits, Now With Veggies!